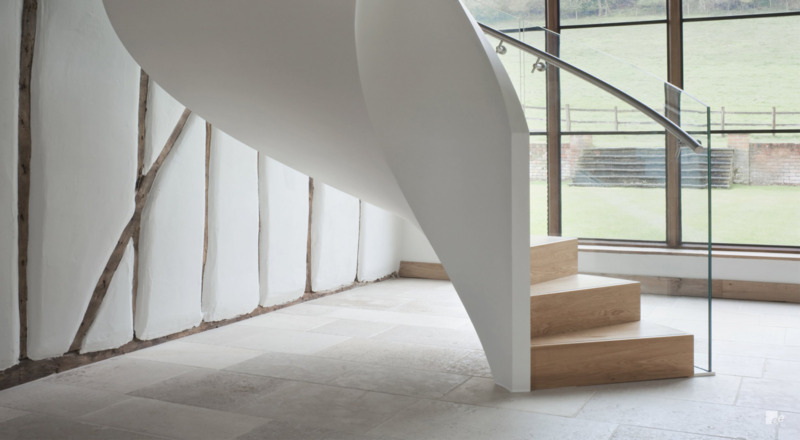 Working together with Stedman Blower Architects and the end user, EeStairs developed an elegant helical staircase designed to sit comfortably within a beautiful historic barn conversion. 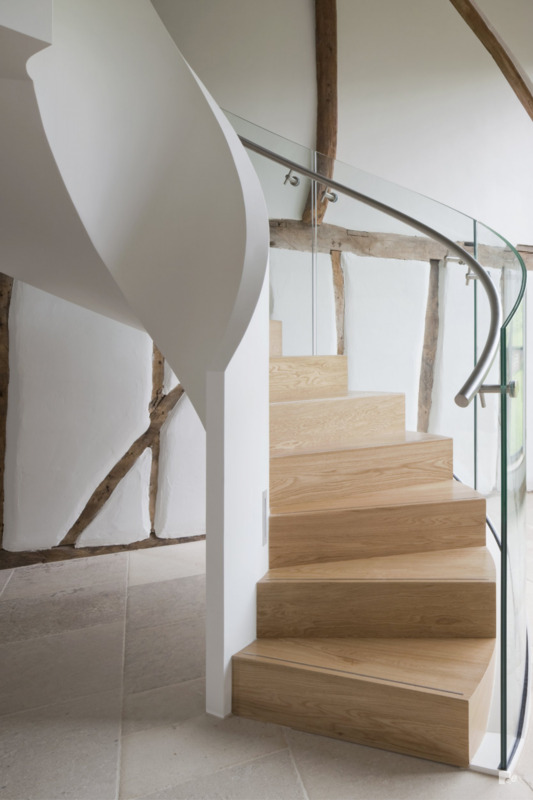 The helical staircase has a small footprint and tight radius inner balustrade. To ensure optimum balance of proportion EeStairs, recommended a slim outer stringer giving the staircase a lightness and perception of a minimal structure. 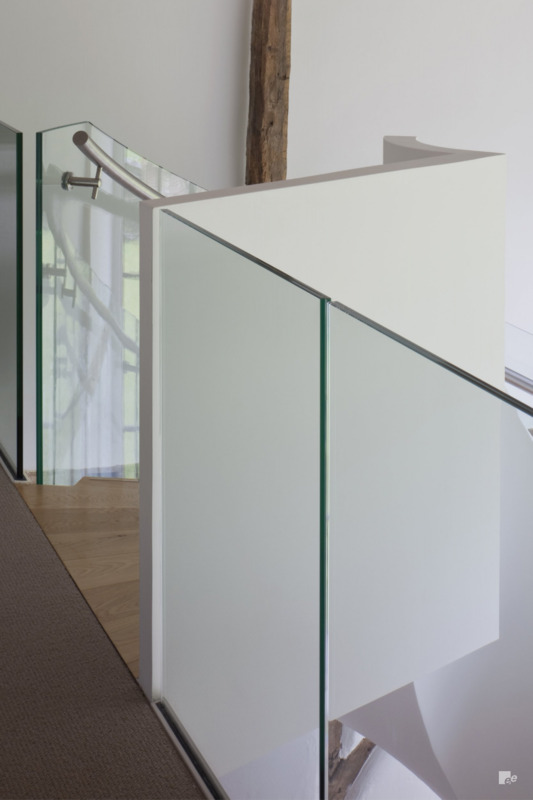 EeStairs also supplied frameless glass edge balustrade to the link bridge which the staircase provides access to from the ground floor.